Cafe de Ooievaar is one of the smallest tasting rooms of the Netherlands. 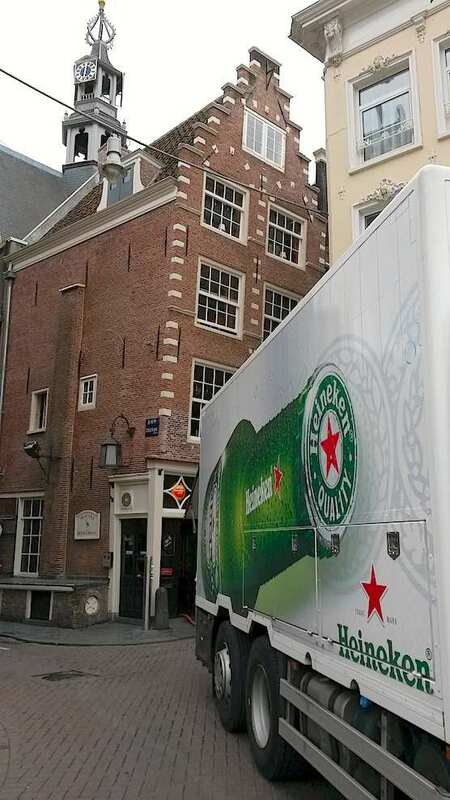 Its known for the fine jenevers, a comprehensive range of old Dutch liqueurs and of course different beers on tap. Cafe Ooievaar is located in front of Amsterdam’s Central Station. 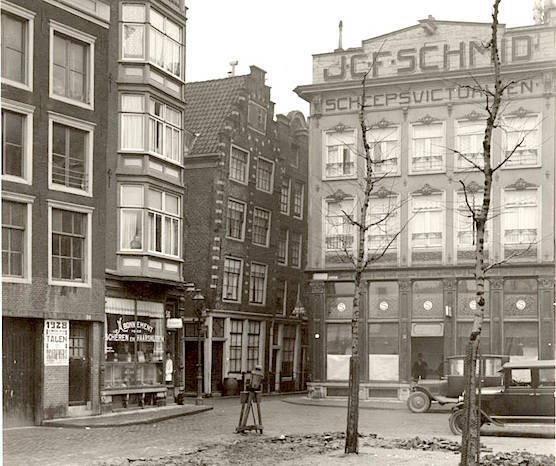 This is what the building of Cafe de Ooievaar looked like in 1928. Close to Cafe de Ooievaar is Cafe in ‘t Aepjen, one of the few preserved wooden cafés in Amsterdam!